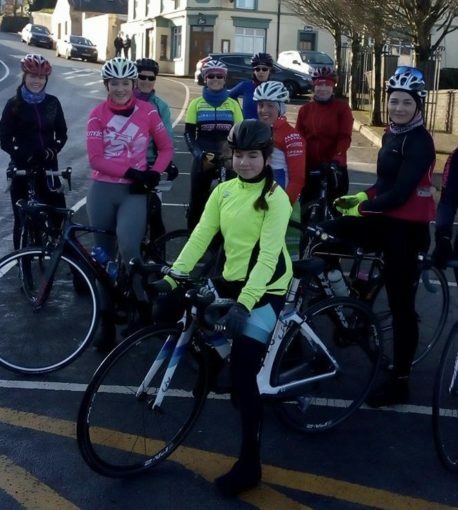 In Munster this year we had two new Women’s races , one in March hosted by Newcastle west CC and the other in Cloughjordan in July hosted by North Tipperary Wheelers . 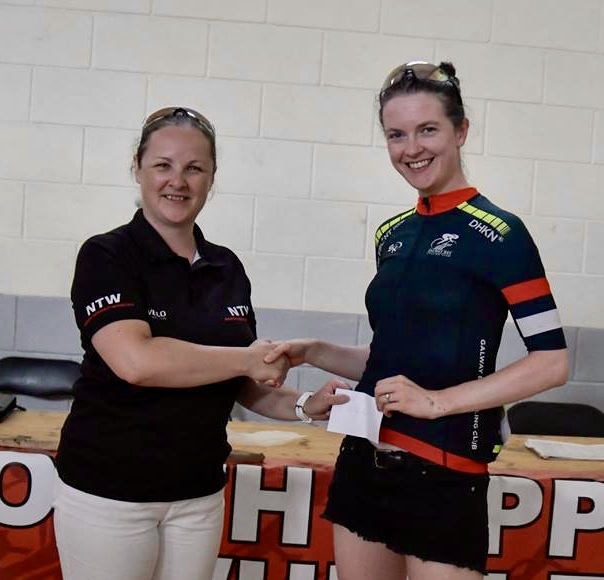 Both were very successful and the North Tipperary event included a Women’s Commission Intermediate league race (Newcastle-west have applied to have their race in the Intermediate league 2019). 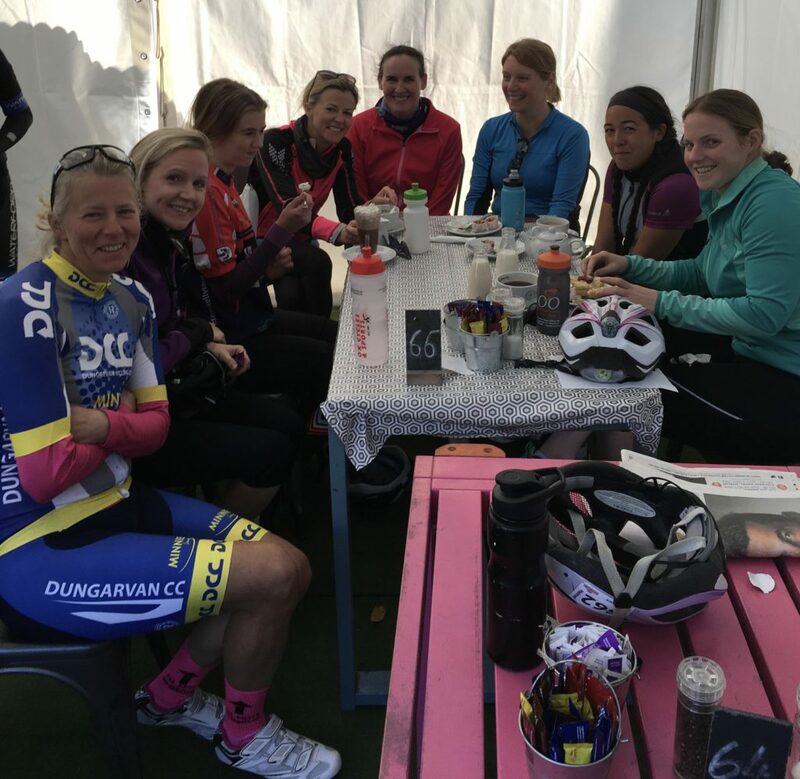 The Dungarvan CC women’s race clashed this year with the Deenside race, so unfortunately the women had to ride out with the A4s due to the lack of numbers, but we’re hoping this won’t happen next year and Dungarvan have also applied to host a leg of the Intermediate league. 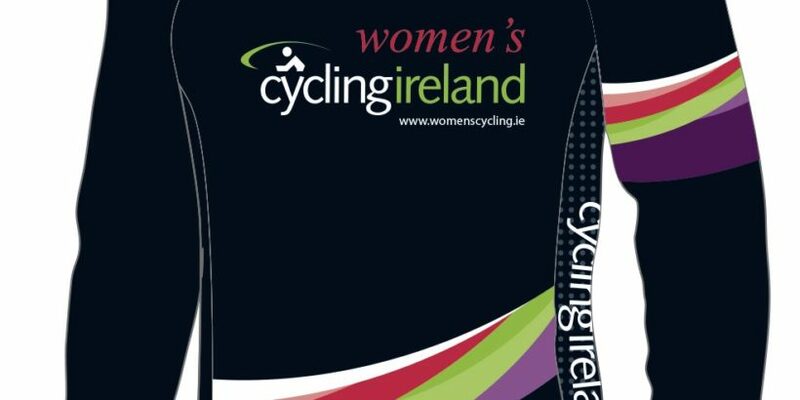 We had a few problems with clubs not complying with giving 1-2-3 for the girls at the beginning of the season, but after communication from the Women’s Commission to Cycling Ireland this was resolved by the end of the season. In December Killarney CC hosted the first of three Training Days for Youth Women (U16 girls) in Munster , Guest riders Orla Desmond and Emma Walsh led the spin , and it was followed by a presentation of Prizes by David O’Sullivan for the 2017 Munster league . All loved it and it was great to see the girls there to cheer on the women on receipt of their prizes. The next training day was hosted by Cork County with Sheila Lucey and Aggie Wosniak at the helm , and to the delight of the girls former Pro 7 National Champion Fiona Meade also attended with wonderful advice on the road – with a Q&A session over coffee afterwards. While it was very technical she made it great fun for everyone. To be repeated again this coming year !!!! We had a very successful training day just last weekend in Dungarvan , where we had over 50 sign on , all ages we’re representated from U12s to Masters. Many showing an interest in participating in the intermediate league next year and many underage girls looking to meet up regularly throughout the winter and again plans have already began on doing a rota where clubs with girls will all do a turn on hosting a spin and catch up for them every few weeks. I’m very pleased with the growing number of parents and clubs showing an interest in helping and promoting girls and women’s racing as we are hoping to run more days like this for the coming season and that more clubs will host Women’s only races.